Want to sell your home quickly with a maximum ROI? 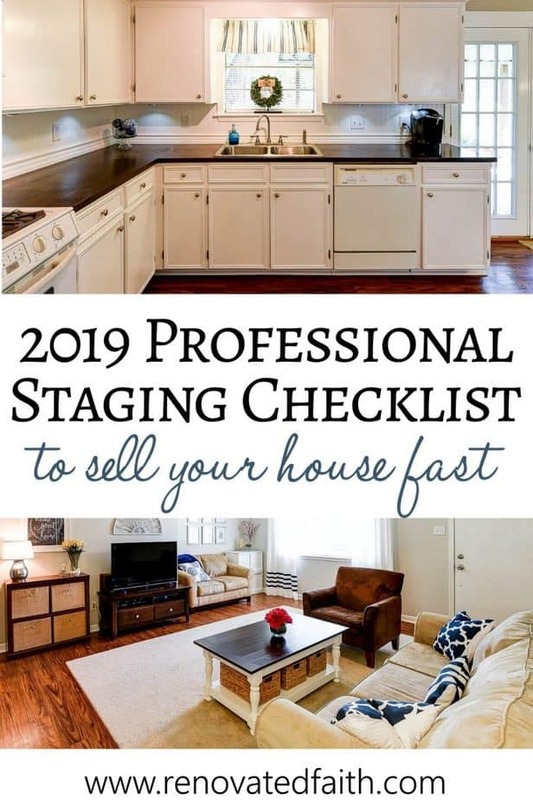 Check out my budget-friendly tips for selling your house including my staging checklist PDF printable. Do you want to maximize the return on your investment when updating your home to sell? Do you wish you could shorten the amount of time your home is on the market? Sure you do. I’m sharing my best tips for selling your house fast. 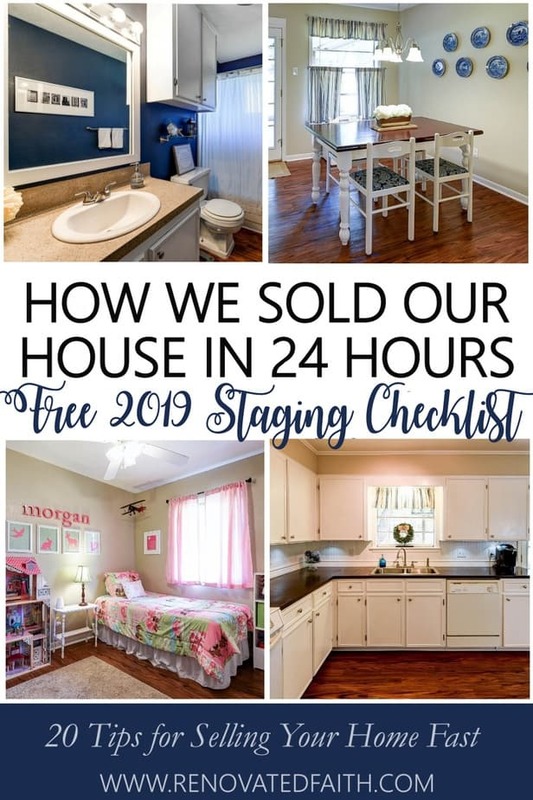 Because of these same tactics, our old house had 24 showings and 12 offers within 24 hours. 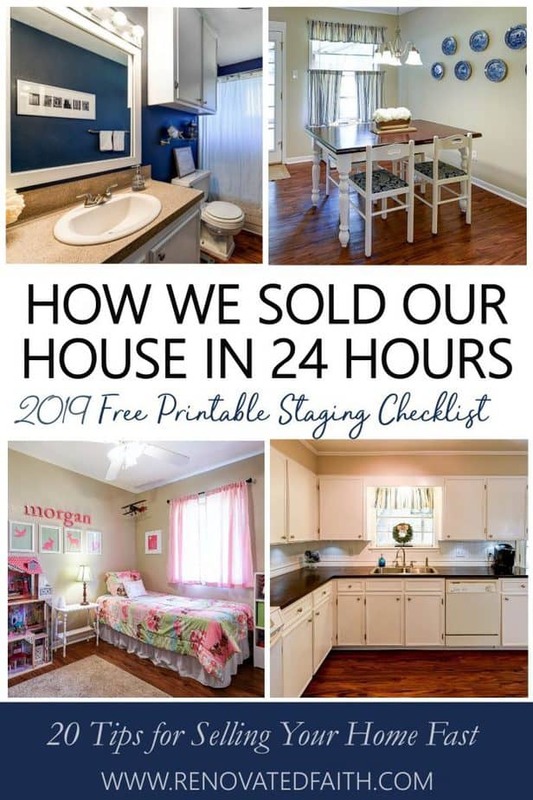 You can also download my free home staging checklist PDF printable. Not just any updates will help your home sell. Being strategic about making upgrades where you get the greatest return on your investment is critical. I’ll also show you how to make your money go even farthest on these projects even if you are wondering how to sell a house fast in a slow market. Want their house to look great all the time. 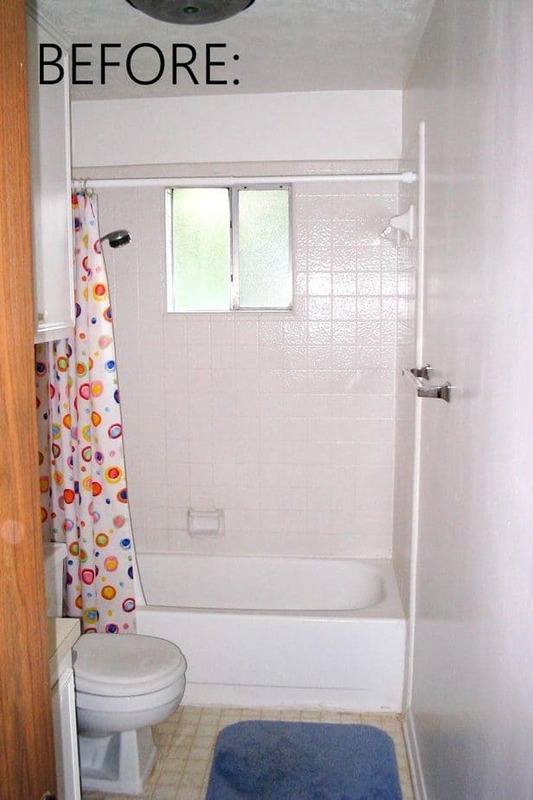 I have to be honest… As I look at the pictures of our old house when we first moved in, I have to wonder what we were thinking. We were newly married and I was in graduate school (seminary) full-time. We wanted out of our apartment but needed a low monthly mortgage. So that meant buying a fixer upper! It was in rough shape to say the least. We spent a lot of time updating and had our daughter Morgan in that home. At a year old, my daughter contracted a rare autoimmune disease called Autoimmune Neutropenia, which meant we spent a lot of time at home and we also had lots of medical bills. My daughter is in FULL remission and I wrote more about that experience HERE in my post Coping When Your Child Has a Long-Term Illness. The reason I bring this up is that our tight budget forced us to do all of our home projects ourselves. Sometimes necessity breeds opportunity. DIY was my outlet for stress and there were lots of “opportunities” to unwind. In that little house, I learned how to paint cabinets, gel-stain furniture, install wallpaper, lay flooring, and even drywall. As a result, when it came time to sell we were able to sell our house for so much more because of the hard work we did ourselves. So let’s get started with my best tips for selling your house fast! If you have considered giving any part of your house a face-lift, turn your attention to the kitchen. It will absolutely give you the most bang for your buck. Keys to Selling Your House Fast – Start in the Kitchen! The greatest way to make an impact in your kitchen is to paint cabinets if they are in need of a makeover – as ours clearly were. Unfortunately, in an attempt to save money we bought really cheap paint which meant that I had to paint on so many more coats to get full coverage – 13 coats to be exact (that’s not a typo). So, spring for high quality paints because they will save you money and time in the long run. “When in doubt, paint it white.” Give potential buyers the opportunity to envision themselves making your house their home so white cabinets are not only a neutral but give them a proverbial blank slate. I know of someone who flipped a house and put it on the market a few months ago. The house looks great but they opted for blue cabinets. They are absolutely beautiful but they don’t fit everyone’s tastes. That house is still on the market. Click here for some great neutral cabinet colors. Just updating the tile and backsplash dramatically enhances the look of a kitchen and will help to sell your house in 7 days or less. These updates give your kitchen a fresh new feel and brightens up the space. Our former backsplash and counters were bright yellow laminate. I have nothing against laminate but these were very dated and needed a change! 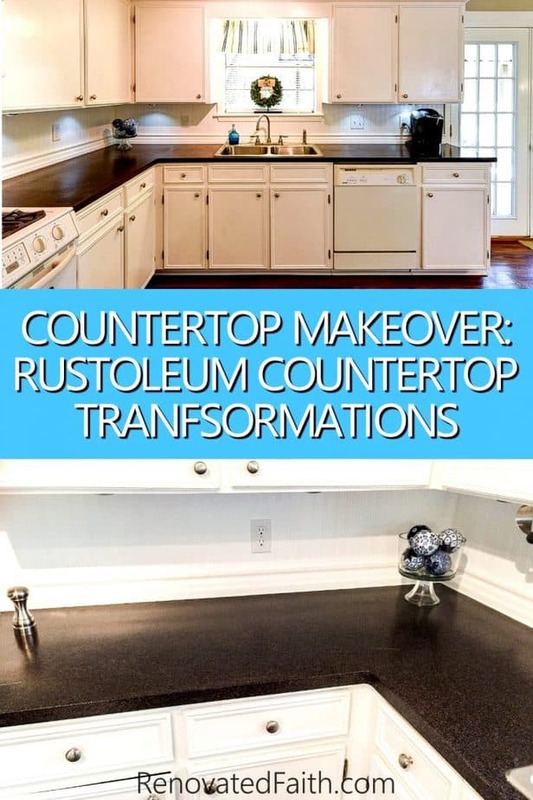 To update the counter, we used the Rustoleum Transformations kit in Java (click HERE). It took only two days and was kind of messy but the results were absolutely amazing! 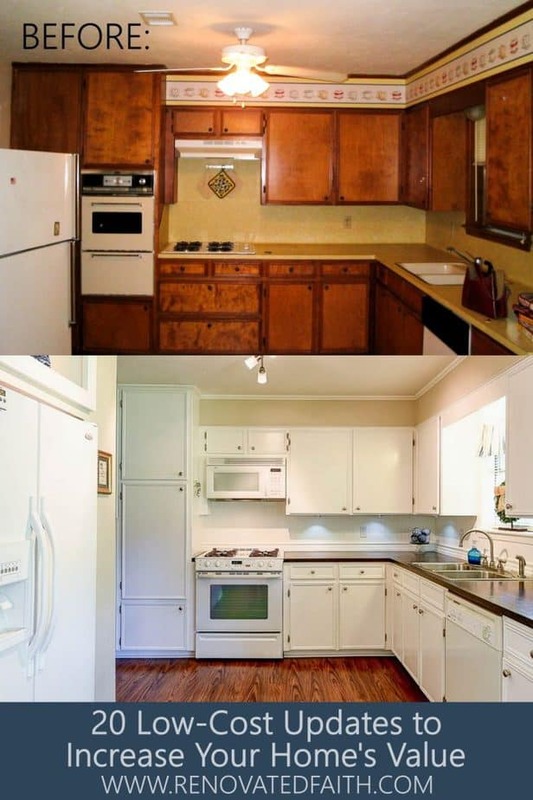 We only spent $300 on the countertops and they made a world of difference in the look of the kitchen. They were also super durable and I loved the look. In fact, I prefer them to the granite countertops in our current home! 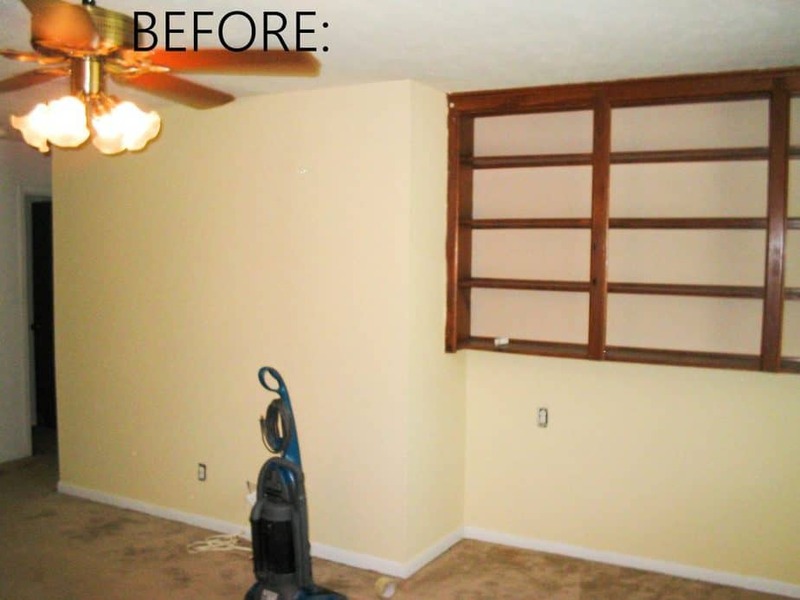 For the backspash, we used beadboard – but not just any beadboard! That is actually beadboard wallpaper which is vinyl and paintable. It’s extremely durable and the vinyl is actually raised, giving the same contour as actual beadboard – you cannot tell a difference! I added the wallpaper and then installed some chunky trim at the bottom. Then I painted the trim and wallpaper in – you guessed it, white! They were stunning and the backsplash cost less than $50! I’ll be doing a tutorial soon on how to install beadboard wallpaper but you can check out what I used HERE. Think about the route you take from the sink, stove and frig and does it make sense? We had to move around some things. For example, the oven was basically an antique so we pulled it out and put in an oven and range next to where the old oven used to be. We did this early on but its something to keep in mind for future buyers. Also, we built a surround around the refrigerator because it was just kind of hanging out by itself. If you have to take up any square footage, make sure it adds functionality or storage as the other side of the surround is actually a second pantry. Even though we built an entire surround around our refrigerator, our kitchen looked bigger because of the white cabinets and backsplash. Quick Tip: If you dislike your wall color, try changing your light bulb color first. You might be surprised at the difference they make! Pick colors that are visually appealing to a wide audience. Blue and yellow with coffee cup border? Not so much. Pick wall colors that are used often on Pinterest and in magazines so you can see how they actually look in real-life rooms. You can’t go wrong with a light greige and you can see my Pinterest board for Greige wall colors HERE. Let’s face it. Women are the ones that make more purchasing decisions than any other family member and that’s also the case with real estate. If Mama’s ain’t happy, ain’t nobody happy. Therefore, appeal to the woman who will one day live in that home. We had a blank space over where the phone jack used to be so we built out a new counter, I gel-stained it (read more here about gel-stain) and then I made the wall above it an Organization Station! (You can see mine here and other ideas in my Pinterest board) What woman wouldn’t want a house with a place to stay organized (or at least seem organized). Check out other feminine touches to add to your home in my printable home staging checklist. make sure your front door has a fresh coat of paint. First impressions matter. If the door is difficult to open, buyers will wonder what else has not been cared for in the home. 9. Change the “Ugly” or Embrace It. You can see there were some built-in shelves in the corner of our living room. I tried to decorate them but they were just an eyesore. So, we tore them out and it really frees up that corner of the room as a cute sitting area. Now, notice the blocky boring fireplace. We did what we could by painting the mantel and taking out the brass fireplace cover. However, there was still an odd empty space between the actual fireplace at the bottom and the mantel. So, we embraced the awkwardness by hanging a curvy metal art piece which countered the straight lines of the fireplace and created a new focal point in the void. Speaking of ugly, our windows were not very large so we made the room look larger by hanging the curtains so they covered part of the wall outside the window. I explain how to do this in my post DIY Curtain Rods where I also show you how to save money by using electrical conduit to make curtain rods. I promise, you will not be able to tell the difference and you save money on something you can’t take with you anyway. Get old carpet out. You can save money by buying vinyl plank and installing it yourself as we did. This is Home Depot’s Allure Flooring in Teak. 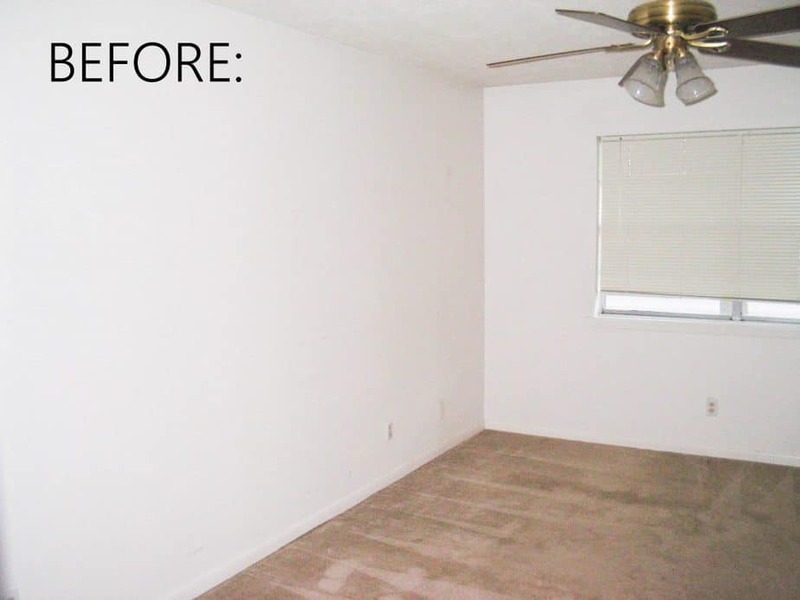 It was really easy to put down and the flooring was very durable. We were so impressed with vinyl plank flooring, we just had it installed in our entire house after our flood. If you can’t remove carpet or if it’s in really good shape, make sure you get old stains out and have it shampooed. For pet stains, I did lots of experimenting and this is the best product out there. For all other stains or spots, I use Folex. There are times I will spray it on the spot on my rug and when I come back later, I can’t find the spot to wipe up. It’s that good! I also wrote a post on how to get smells out of furniture and many of the same tips apply to carpets (click here). 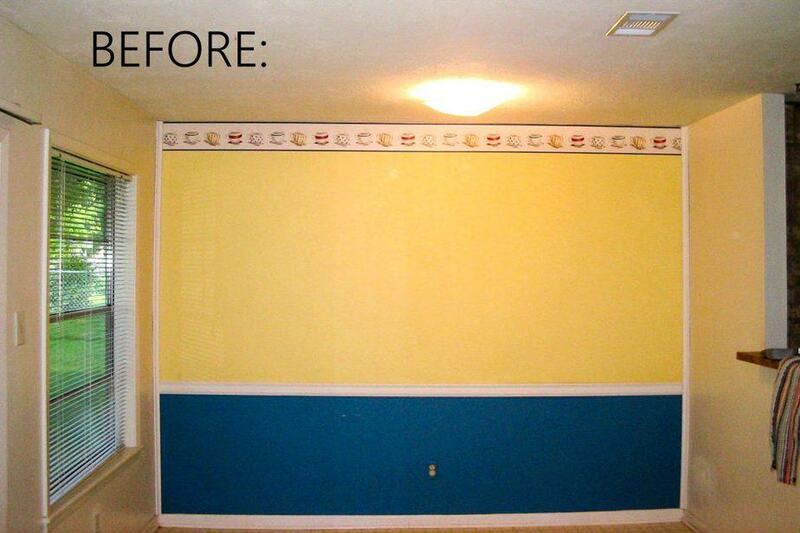 Repair and paint over any cracks or picture holes in walls. When we bought our old home, it had some cracks in the ceiling of the hallway. My husband is a civil engineer and could tell the cracks were just from a poor dry wall job but to someone else, they might have suspected a serious foundation problem. Update all light fixtures and sink fixtures. If you can’t afford to update sink fixtures or cabinet hardware, you can spray paint them. Check out this tutorial for spray painting sink fixtures by . While there are some learning curves to some of these projects don’t think your new-found skills are “nontransferable”. These aren’t just tips for selling your home fast but great ways to update your new home as well. What I learned in our old house’s bathroom, I’ve applied in our current Master Bath to give those mauve-brown walls a blue spa-like feel. Click here to see the before and after. To give our bathroom an added touch, we made our own mirror frame and then painted it white. We just attached it on top of the existing beveled mirror and it freshened up the whole room without the cost of a new mirror. We used this tutorial HERE from Shanty 2 Chic. Make sure all caulk in kitchens and bathrooms is clean and bright white. Fill any cracks in baseboards with some new caulk. You will be surprised what a difference it makes with very little cost and effort! Don’t forget the garage. It’s not a huge priority but don’t let the state of your garage allow potential buyers to question integrity of the entire house. Our garage had been dry walled and then wasn’t taped and floated incorrectly. So, and this is where learning new skills comes in, I had to retape, float and repaint the whole garage. MONEY SAVING PAINT TIP: For the garage, I actually went to our local Restore where they had some unused cans of white paint in the Sherwin Williams brand. I mixed them all 3 in a 5-gallon bucket and got a sample container of black latex paint to add in to make the paint gray. That gray paint cost me $8 for three gallons of paint to paint our whole garage. This is our new house below and you can see the difference that some new flower beds and fresh paint make. In my post 8 Steps to Affordable Curb Appeal, I explain how to make the biggest impact in on your home’s exterior on a small budget. “If your hair is done properly and you’re wearing good shoes, you can get away with anything.” – Iris Apfel When it comes to houses, the porch is your shoes and the landscaping is your hair. 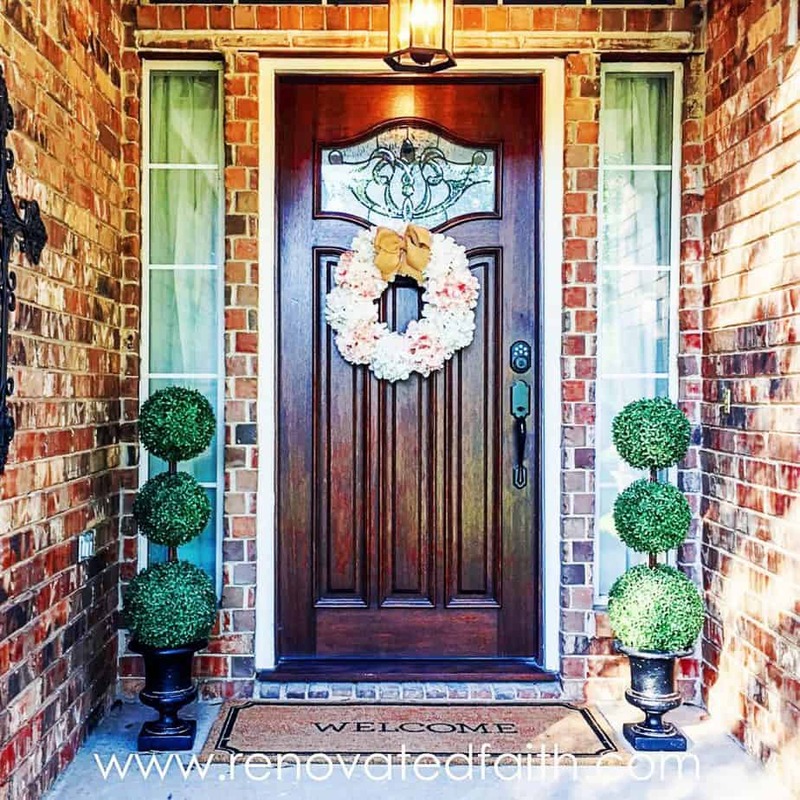 Here’s an example of how adding some extra touches to your porch can get the attention of potential buyers. I added a hydrangea wreath and some DIY topiary trees. 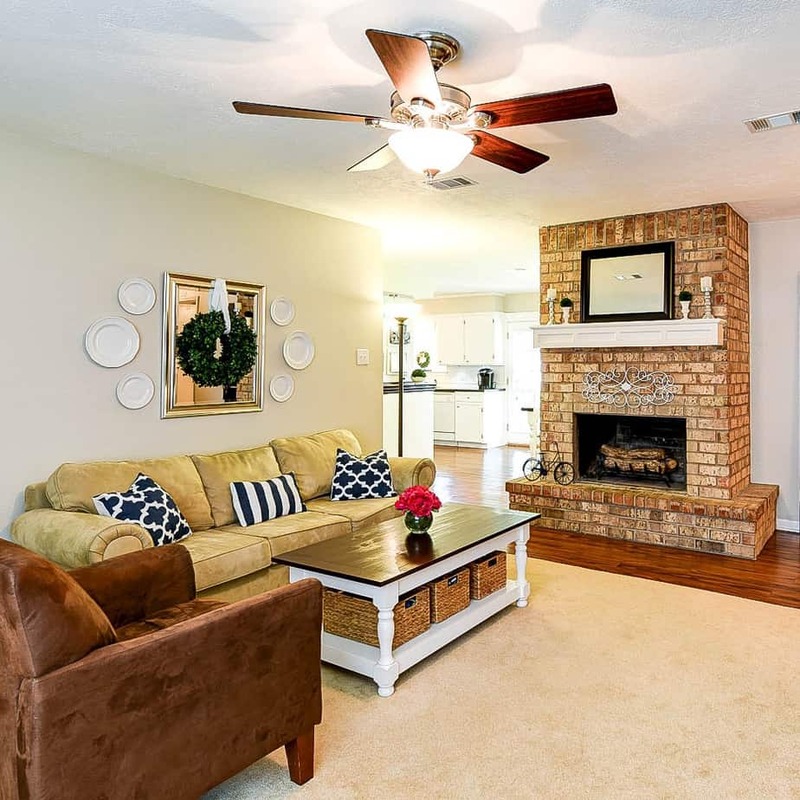 It gives buyers a homey feel before they even enter the house. First impressions can never be made twice! You can see more of my ideas for curb appeal by clicking HERE. Ridding your home of any signs of pets is one of the most important tips for selling your house fast! I’m a dog lover myself and although you might have the cleanest puppy on earth, potential buyers don’t know that. Remove any signs that a pet lives in the home. I go into more detail in my printable home staging checklist but be sure to put away water bowls and food bowls. If you are trying to simplify your life while your home is on the market, here are some tips for living in your house while selling. Simplify Your Home – Pack up items you won’t be using to make your house look more streamlined and less cluttered. 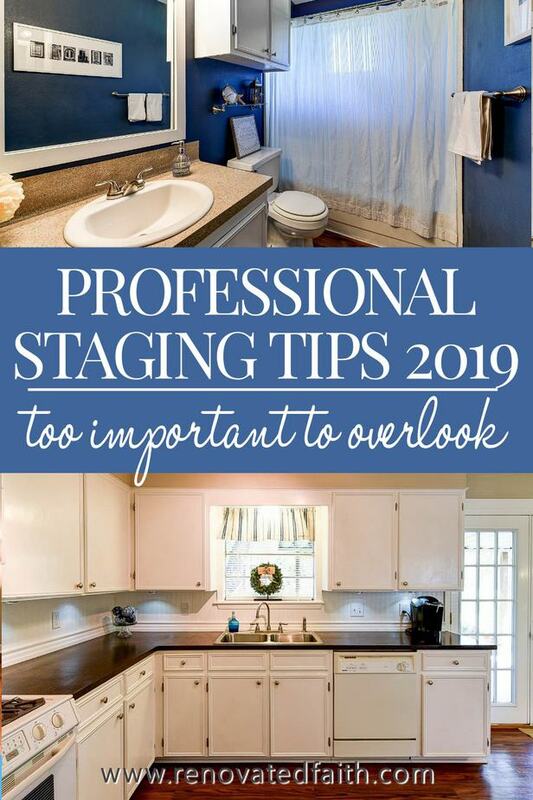 It also helps to minimize prep time before showings because there will be less to declutter at the last minute. Have a ‘Go Bag’ – Have a bag with kids’ snacks, bottled water and anything else you might need while your house is being shown. Have it close to the door so it’s handy. Laundry Basket – Instead of cleaning up clutter, just stick it in a laundry basket and take it with you. It will be much easier and less stressful than putting it where it goes at the last minute. Be sure to update old door hardware. I saved over $200 by refinishing old door hardware in our house. I spray painted the knobs and bought other hardware. The results make a huge impact to the look of our home and you can see the full process of how to spray paint door knobs here. Here is a post that tells you how to refinish your door hardware on a budget: How to Spray Paint Your Door Knobs the Easy Way. Make sure all light switches are in working order and update all plug and switch plate covers to white. Spray paint all vent covers the same color as the trim. Take them off and use gloss or semi-gloss spray paint as this will be a lot easier and will dry faster. Take down pictures of your family or anything that has your initials. For example, I had some family tree wall art that I replaced with a free chalkboard printable that said “Home Sweet Home.” You want the buyers to visualize their family living there, not yours. If some pictures or a child’s name on the wall is central to a wall art gallery, I’d save just leave those. Most of what we have talked about appeals to the eye but don’t forget the other senses. Run an essential oil diffuser like this one I use to give a subtle spa-like scent. Some suggest playing soft music in the background. I remember I had some flameless candles like these “lit” on the fireplace to catch the eye of buyers. 26. Bring in a Cleaning Crew! I know it seems counter-intuitive to pay for professionals to clean but trust me, it will be worth every penny to not have to do it yourself. They will also catch cleaning details you may miss. 27. How to Sell a House With A Realtor – Don’t Go it Alone! If you are wondering how to sell a house with a realtor, you’ve already made a good decision! Don’t waste time and money trying to sell your home yourself. Every home has a “realtor” when it comes time to sale. The question is whether you want to be that realtor or whether you hire one. Would you hire an “ok” IT person to service your business’ computer system? No, you wouldn’t. So why would you want to pay an “ok” realtor (yourself) as opposed to a professional. Time is money so consider the time it will take to sell your house if you tried doing it on your own. A realtor has the skills, resources, education and not to mention a professional photographer at your disposal when you hire them. Our realtor is Brady Brittain with TowerPoint Realty. This is not a sponsored post but I couldn’t write it without saying what a pleasure it was working with Brady. He made what could have been an extremely stressful process a breeze! He scheduled 24 showings the first day it was on the market and as a result it had 12 contracts, two of which were cash offers. I will never forget how Jeremy and I were on the phone with Brady that evening. He had already gone through all the contracts, giving specifics on the intricacies of each and made thought-out recommendations. I don’t even want to think about trying to wade through 12 contracts on our own. Actually, if we had tried to sell our home ourselves, we probably wouldn’t have had 12 contracts in the first place. With all that said, hire a good realtor, and if you are in the Bryan/College Station area, consider giving Brady a call! You can visit their site HERE! First impressions are EVERYTHING and it takes very little effort to apply these house showing tips for sellers. It is an easy way to make a big impact on your home’s potential to sell. 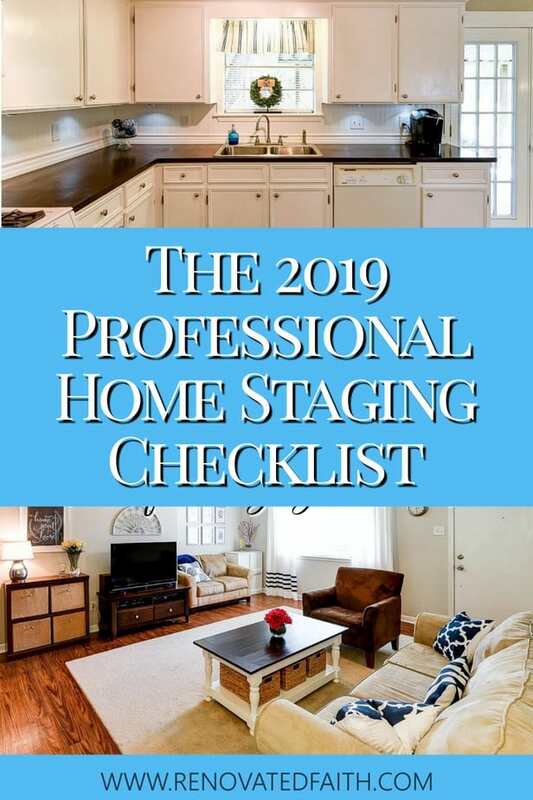 I have compiled a checklist of my best staging tips which you can download by clicking here: Home Staging Checklist PDF. Selling your home can be stressful but know that you have carried out all the necessary steps and God will take care of the rest. 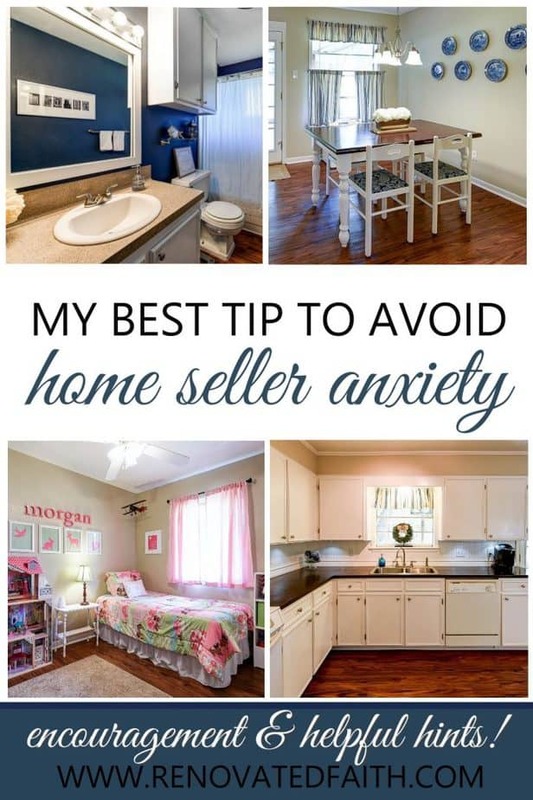 Many have anxiety over the process of selling their home, fearing it will sit on the market while their family waits. If you are wondering how to sell your house fast by owner, know that you should always hire a professional. The best tip I learned during our home sale was that God will provide and is in control of the entire process. It might help to even visualize your house being sold in a timely manner. When I say to visualize, I don’t mean in a new-age, positive thinking sense but to just have faith that God will provide because He wants good things for His children. Trust that He already has a plan in place, even if some waiting is involved. Pray in faith about your home selling, trusting that God already has the right offer in place and a new home picked out for you and your family. This will make the process much less stressful to know God is in control of every aspect of this transition period. My mother-in-law Kathy Peters is a realtor in Lake Jackson, Texas and it wasn’t that long ago I had the conversation with her that I was scared someone else would get a contract on a house my heart was set on. If you do have to wait for your home to sell, you can trust that He is already working for your good to orchestrate circumstances perfectly. He’s the same God that before Zacchaeus climbed the tree, he planted the seed for the tree to grow. So, list your house and wait in hopeful expectation for what God has already put the results in motion. Whether there is a waiting period or not, He has a plan and wants you to prayerfully wait and watch how it unfolds. Remember that God has already worked out what you are worried about. 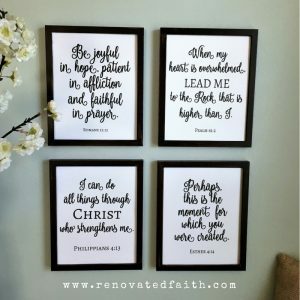 Every DIY/home decor post with spiritual encouragement has a section called Renovated Thinking and you can see those posts by clicking here. Now you know the exact process we used to sell our house in 24 house. 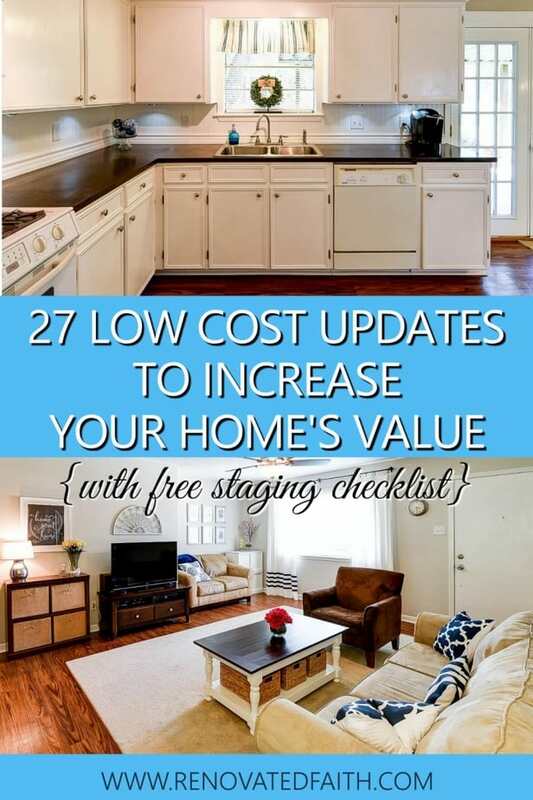 So, take a second to download your printable home staging checklist above and start making these easy updates. But one word of warning…be ready for your house to sell sooner than you think! Such a wealth of information for selling your home. 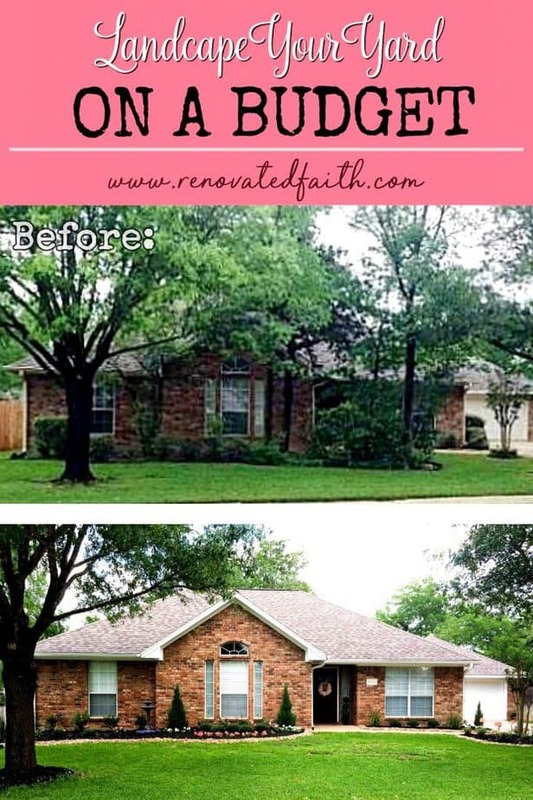 Your starter home (even in the before pictures) brought back so many warm sweet memories . Many special times spent in your starter home with our little Morgan. You did an excellent job in all your projects! Fresh paint will really make your walls & cabinets looks clean & new. Great blog by the way and thanks for sharing! Thanks for that last bit of encouragement. Brought tears to my eyes cause I needed to hear it! Mary – thank you so much for taking the time to comment. I know God has a plan for your home and any other situation in your life. He always has a way of working out his best. Just wanted you to know I just said a prayer for you and I hope you have a great week! 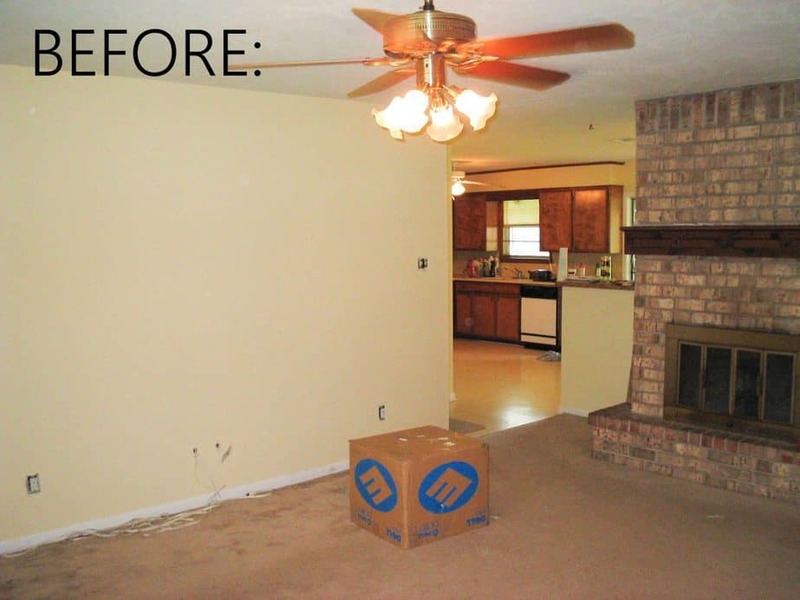 Painting definitely helps a lot in transforming your house making it look clean and new. Great tips by the way and thanks for sharing! Absolutely. 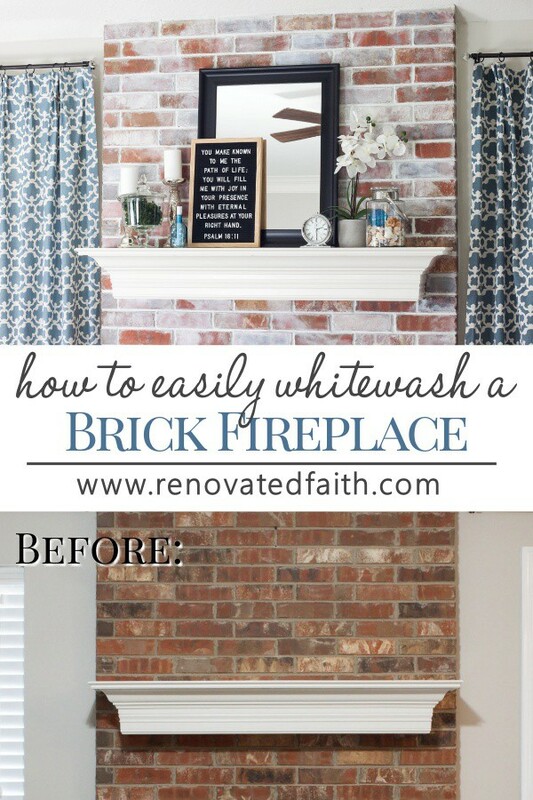 It can give an entire home a face-lift. Thanks for your comment Richard! My parents are thinking about selling their current home. So, I liked that you pointed out that they should improve their home’s curb appeal. It is good to know that they can make a big difference to the look with a small budget. Yes, you can make a BIG impact on a small budget. Thanks for stopping by Penelope! Thank you for this useful article in this blog. It can give an entire home a face-lift. It s very big and clean home .It can notice the blocky boring fireplace. We did what we could by painting the mantel and taking out the brass fireplace cover. Many special times spent in your starter home with our little Morgan.It is good to know that they can make a big difference to the look with a small budget.I will sharing in this post.